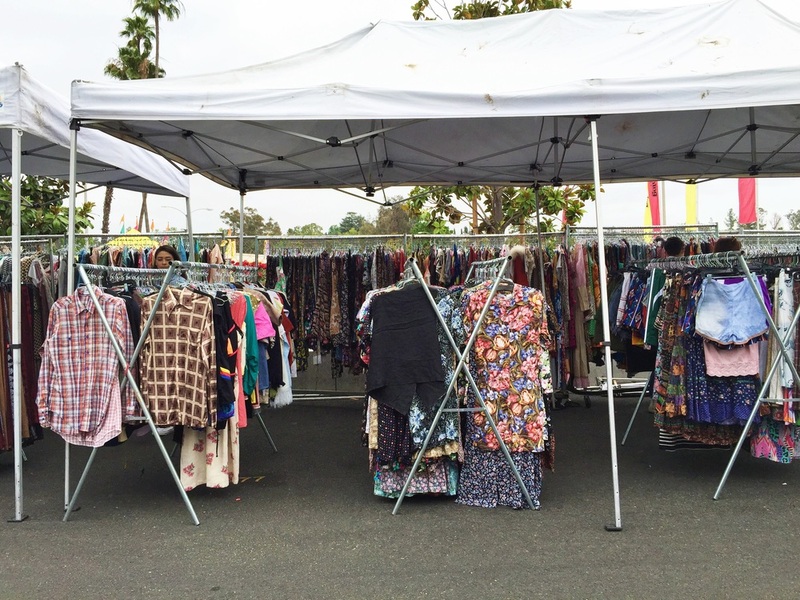 The Rose Bowl Flea Market happens every second Sunday of the month at the Rose Bowl Stadium in Pasadena, California. There is plenty of FREE PARKING to attend the market. There is also a VIP Preferred Parking close to the entrance if you care to pay for a fee. Just follow the signs to your parking of choice. After you park your car, follow the crowd to the Rose Bowl Stadium and get your tickets at the box office. You may purchase admission tickets for $9 - $20 depending on what time you arrive. Interior designers often score the best vintage furniture pieces by paying the Early Bird Tickets for $20 and get there as early as 5 am. You will be the first to see everything and leave just before the crowd gets there. If you plan just to walk around and find surprises, you can go as late as 12 noon after a good brunch and pay for the $9 entrance fee. If you stay until 3 pm, that's when seller's are willing to haggle as they need to start packing and get out of there. And you may stay & shop for last minute bargains until 4:30 pm. Here's where people always get confused - Where to go first? Here's a quick guide to help you navigate. After you make you way past through the main entrance, check out the freebies they have on the table right behind the ticket checker. They give out these random stuff that sometimes you just don't know what they are for, until you get home and actually find use for them. Just something fun to get for free. I've gotten soap dispensers, salad thongs, fanny packs and sunglasses holder just to name a few. If you miss it, no big deal. Now that you've entered this wonderland, there is going to be a lot of crazy foot traffic, so beware. You should know how to navigate your way around this amazing market. Below, I'm sharing a map that is normally available near the main entrance, but people forget to stop by. So keep this one handy or just have a visual memory so you can have a plan of attack. Around the bowl, where you see the YELLOW, BLUE, RED AND PINK AREAS are mostly for New Merchandise. All the way around the back of the bowl in the PURPLE AREA is where you will find Arts and Crafts. If you are going there for Antique Merchandise like vintage collectibles and furniture, go the ORANGE AREA. You can then cross on either of those two small walking bridges to the WHITE AREA to find the best of vintage clothing. I opt to go around the ORANGE and WHITE areas during my last visit and I'm sharing snippets of what you can find there. You will find lots and lots of vintage items for the home and thousands of pretty textiles. Now across the bridge, off to the WHITE AREA is where to find pools and pools of vintage clothing and accessories. Lots of denim for sure, so I a was on denim heaven. And yes, that actually happened! Now that you know how to navigate the market, here are just a few more tips for you. Wear COMFORTABLE SHOES and CLOTHES. It is almost always sunny and hot during the afternoons in Pasadena, so dress comfortably. Dress in layers if you plan to be there early and leave late. Wear SUNSCREEN, SUNGLASSES and/or HAT for sun protection. This market is entirely outdoors so you can easily get sunburned. Bring CASH. 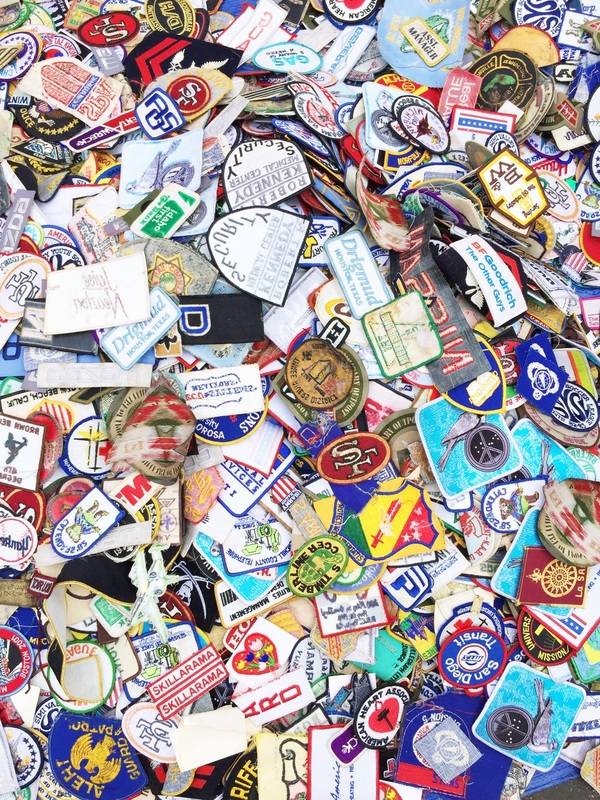 Some new merchandise vendors accept credit card payments, but if you are there for vintage and want to haggle for prices, you have to pay cash. It's just the rule of thumb at a flea market. Bring TAPE MEASURE if you there to hunt for home goods. You already know why. Bring WATER and LIGHT SNACKS. You wouldn't want to spend up to $10 for a bottle of water, so bring your own. Even food can be a little bit expensive, and to be honest, not that great. So if you come late, make sure you already had a heavy brunch. If you plan on buying a lot, make sure to bring a wheeled shopping BASKET or a CART. It might not be the most fashionable accessory, but you'll thank me later. Bring CANVAS SHOPPING BAGS. These are perfect for those vintage clothing and denim cutoffs that you will bring home. HAGGLE. 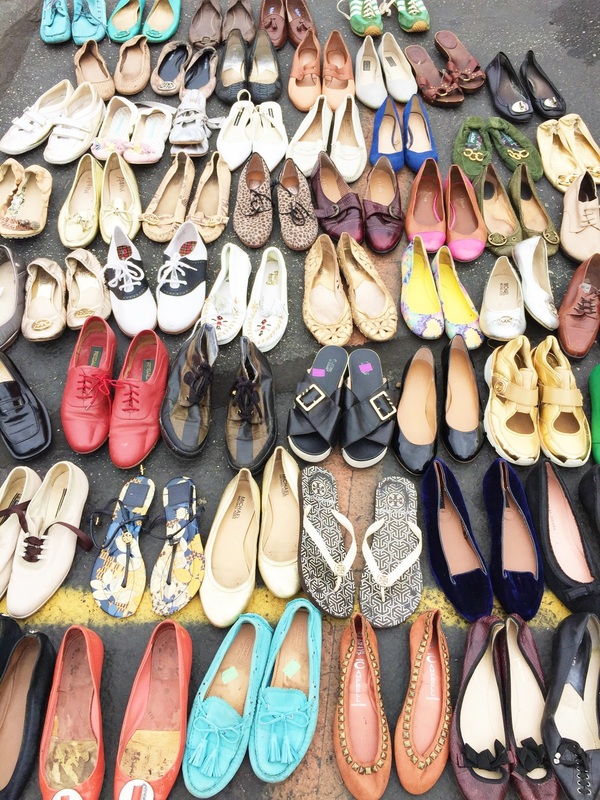 You're at the flea market to get the best price for your great finds, but be reasonable. Do not offer a price if you don't really love it. If the seller agrees to your price, it's just right to buy it. So if you're not sure - don't even make an offer. If you really, really love it, then tell the seller you really love it and ask for his/her best price. Most of these vendors want their stuff in the hands of people who will care for them too. In the end you will get a great deal out of it. So haggle but always be NICE. 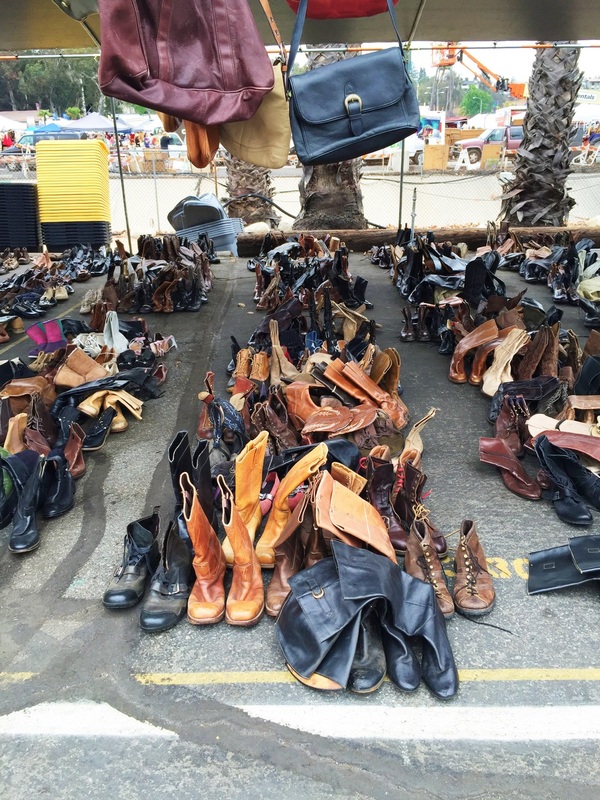 I hope you enjoyed these tips and quick guide to ace your shopping trip to the Rose Bowl Flea Market. Happy Hunting!